Office Memorandum Government of Pakistan Cabinet secretariat establishment division on 28-01-2019 regarding Revision /Amendment of Recruitment Rules for Islamabad Model School and Colleges in 2019. Ministry of Federal Education and Professional Training OM no. dated 18-12-2018 on the noted subject above to convey the approval of establishment division for enclosed draft recruitment rules for the posts of Federal Government Model Schools & colleges under the government directorate of instruction FDE Islamabad under the service of administrative training and expert preparing. The recruitment rules draft might be advised subsequently to getting the simultaneousness of FPSC and two printed duplicates of the equivalent might be provided to this division for reference and record. Secretary Ministry of federal education Government of Pakistan, Islamabad. Note: In this website, an ilmilog team is trying to take effort for teachers and students matter. 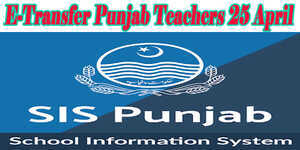 So please be in contact for the problems of Teachers and students of Pakistan. Similarly, those teachers and students who are working hard in foreign countries. It is up to you that how you may help our ilmilog team to arise these different matters in front of government higher authorities with the sharing in the social media and sharing among teachers and students within a family and abroad.